The Wine Fest will be held Rain or Shine! It is a handicapped accessible event. Please keep in mind that even though most of the major events are under cover, you should still come prepared with proper clothing, sunscreen and rain gear. As per the Dutchess County Fairgrounds there are no pets permitted on the festival site. Please be conscious of the weather as it will likely be too hot to safely leave pets in your vehicle. There will be no exceptions to the no pets rule. Children are permitted. Children age 12 and under are admitted for free. Please keep in mind this is an adult-focused event with wine/beer/spirits tasting and very little to interest a child. Buildings can get crowded and be very difficult for a stroller or small child to walk through at peak times. WE CHECK ID! If you purchased a Tasting ticket, please be prepared with your ID to prove you are of age to consume alcohol. Food is not included in admission tickets. Many of the gourmet specialty food vendors do offer small free samples of their products so you can taste before you buy. For meals, we have a fine selection of food trucks and food concessions. 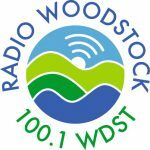 Camping for Fest guests is not available at the Fairgrounds. Please see our Travel page for lodging and camping options. There will be plenty of food and beverage available at the festival. No coolers will be permitted. 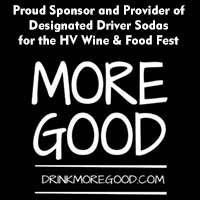 Water and Soda for Designated Drivers is available at the Wine Fest Gear booth in Building D (where we sell Fest posters and t-shirts). Just ask a Fest staffer at the booth for your beverage. No smoking is permitted inside any of the Festival Buildings. Attendees with the “Designated Driver” wristband will NOT be permitted to taste any alcoholic beverages. If you are witnessed tasting alcohol, you will be asked to leave the event. Local law enforcement will be in attendance at the festival to monitor your safety. Please participate responsibly. Our Travel page has a listing of local taxi services. As a courtesy to our guests we offer a centralized Wine Pick-up service. You are never required use the service, you may carry your wine. We provide wristbands so that you may exit and enter the event as often as you like to take purchases to your car. 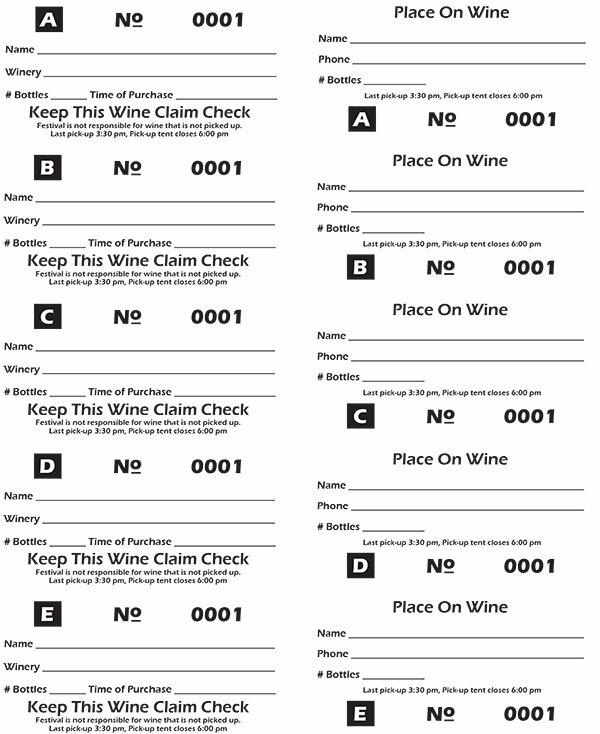 To make your pick ups more convenient, you may want to bring your own Return Address labels that you can attach to our Wine Pick Up stickers, rather than having to write your name and address for each purchase, but don’t forget to fill out your phone number so we can contact you if you forget your wine. 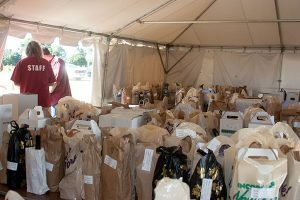 Your purchases will be held in our Pick Up Tent outside the festival area for pick up as you leave. The Wine Pick Up tent is located in the rear of the main parking lot (back towards the 4-H Gate). The Wine Pick-up area is for Wine/Liquor purchases ONLY and cannot be used for other goods. If you are purchasing a large item, ask the vendor to hold it for you and contact one of our staff members to assist you in moving it to your vehicle when you are ready to leave. As you enter the festival, you will pass through our “Meet and Greet” tent to receive your tasting glass and guest bag. In your guest bag you will find sheets of self-adhesive wine pickup labels. When you make a wine purchase you fill out the label COMPLETELY and give it to the winery so that they can attach the right half to any purchases you would like to be held at our Wine Pick-Up area. You keep the left half of the label to show at our Wine Pick-Up area. It is VERY IMPORTANT that you have completed all items on BOTH HALVES of the label and that you have the labels to present at the Wine Pick-Up area when you are ready to leave. The Hudson Valley Wine & Food Fest is not responsible for wine that is not picked up or misplaced because labels were not filled out completely or improperly attached to packages. Please Note: it takes approximately 45 minutes for wine to reach our Wine Pick-Up area, be sorted and ready for pick up. If you plan on leaving the Fest before that time, you may not want to use the Pick-Up service and take your items directly to your vehicle or carry them with you. We will stop picking up wine from the wineries at 3:30pm each day.